Belkasoft Facebook Profile Saver is a free version of Social Profile Saver that only allows downloading from Facebook. 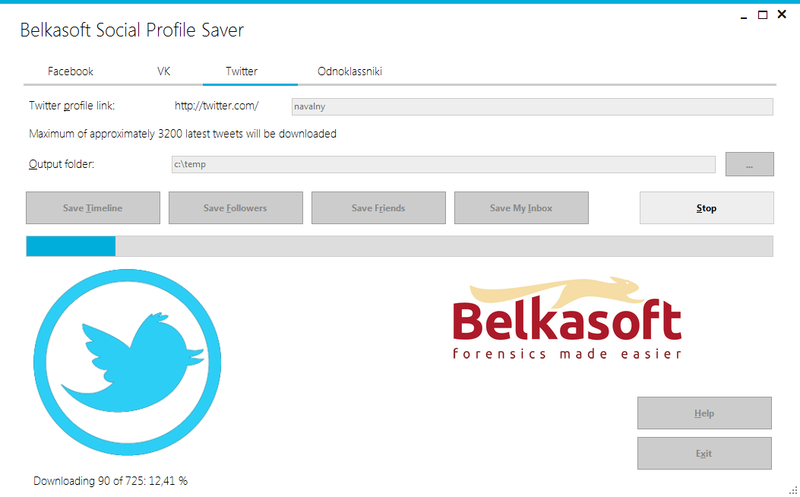 Belkasoft Social Profile Saver captures information publicly available in Facebook, Twitter, Vkontakte and Odnoklassniki profiles. This handy utility is designed for computer forensic and security specialists who need to automate the downloading of social network pages to their local computers to perform offline investigations or present local copies of such pages as evidence. Many Belkasoft customers asked for a tool automating this routine as performing this task manually can be extremely time consuming. Save publicly available photo albums (including comments and descriptions). NOTE: Due to latest Facebook API changes you can only download photo albums of public persons, your friends' and yours. Save the user's wall contents (text and images only, other types of data might not be shown as in a social network timeline). Save personal messages for a logged in user. NOTE: You cannot download other person private correspondence, only yours. Save Twitter tweets, followers and following. The information is saved locally, with a clean HTML report generated. The HTML report is self-containing, and can be printed and displayed without an Internet connection. The report maintains the original links should you ever need to review the original album page, photo page or wall post at a later time. Since the tool only downloads public information, it will not download anything hidden by the user. Facebook photo albums of non-public persons can be downloaded only if these albums belong to your friend or yourself. A valid social network login is required. A user can log in using their own or purposely created Facebook/Twitter/Vk/Odnoklassniki accounts. Important: Do not run the software from CD/DVD or other write-protected medium. 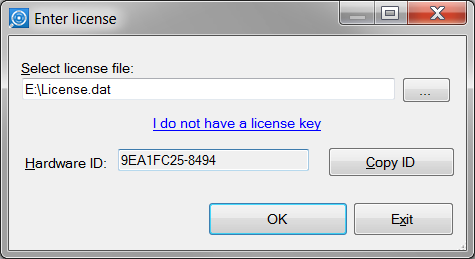 The software should have write permissions to the folder from which it is started. Many users restrict access to their pages to other users of the same social network. In this case, one needs to sign in to the correspondent network in order to download the data. 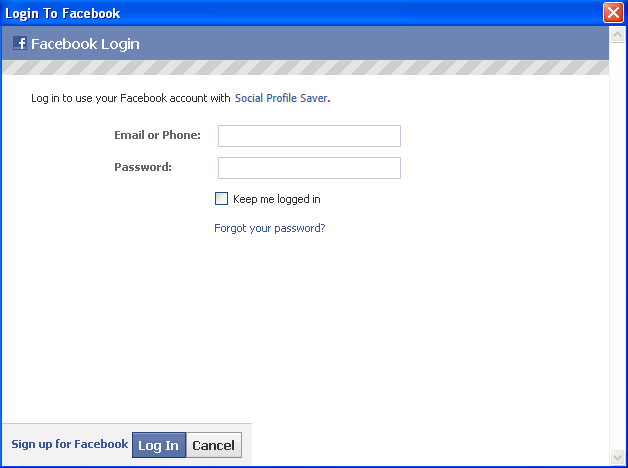 If Belkasoft Social Profile Saver encounters such a page, it will ask for appropriate login credentials. Investigators can use their own (or purposely created) accounts to log in. No login data will be passed to Belkasoft or any third parties. The login credentials are submitted directly to the social network, and to this social network only. Belkasoft Social Profile Saver uses the native social network login applet. We do not use any in-house forms. In your anti-virus and/or firewall, you may restrict Belkasoft Social Profile Saver to allow it visiting Facebook/Twitter/Vk/Odnoklassniki-only pages without losing functionality. Finally, you can use any freeware or commercial tool to record exactly what resources are requested by Belkasoft Social Profile Saver at any time. Important: Make sure the software is signed by Belkasoft OOO to avoid tampering. Absolutely. Using Belkasoft Social Profile Saver is exactly as legal as doing the same thing by manually opening a link in a Web browser. Belkasoft Social Profile Saver works as a custom Web browser, and it can only access publicly available information. This is what everyone can do by just clicking a link in a Web browser. The software only uses ways to access information that are explicitly approved by the corresponding social network. In a word, Belkasoft Social Profile Saver simply automates the work you can do manually otherwise. Belkasoft Social Profile Saver is a paid tool, while Belkasoft Facebook Profile Saver is absolutely free. You can request a quote here. Yes, the software is portable and you can run it from a thumb drive or USB hard drive. Make sure the media from which you run the tool is not right-protected. Can I remove it from my social network after use? Yes, of course. For example, in Facebook you can go to Settings -> Apps and remove Social Profile Saver from there. You can remove the tool similarly from all other social networks. Select a social network of interest at the top of the main window. Enter social network account name and specify an existing output directory. Click on a correspondent button to save this or that type of information. After logging in the download process will start. Report will automatically open in a default browser. Video tutorial will help you to easily get started with BEC.